The Lady Anita is from it's first owner and has always been in winterstorage. 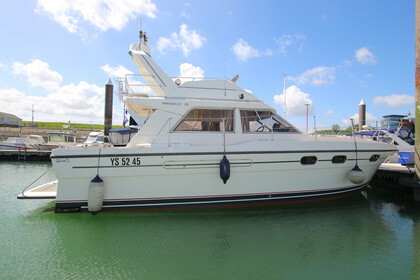 The Princess 35 is very spacious and the interior is still in good shape. The back deck is ideal for cosy afternoons. The flybridge gives you a good overview of the boat and makes it easy to manouver. The boat is located in Breskens, NL.